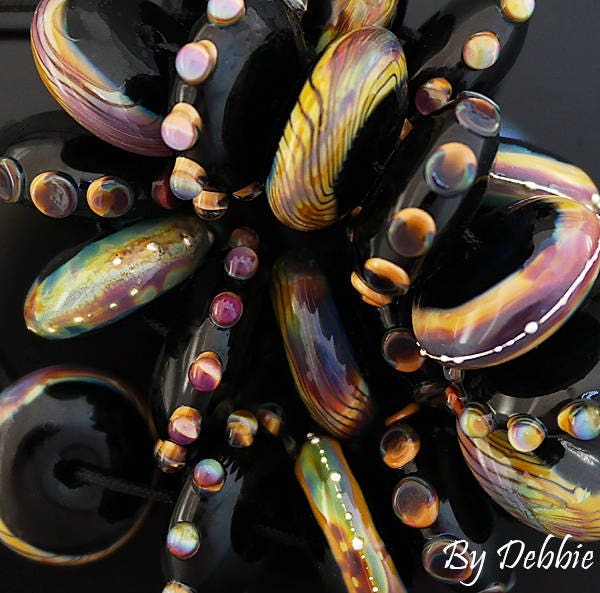 "Autumn Eve" A beautiful OrGaNiC set of 20 glass discs made in a rich deep black base with color shifting glass. Measurements are roughly .75" (19 mm) in diameter for each chunky disc. Accents include pure silver wire. Keep in mind that this is a made to order set and because so it will be unique but similar to the pictures. 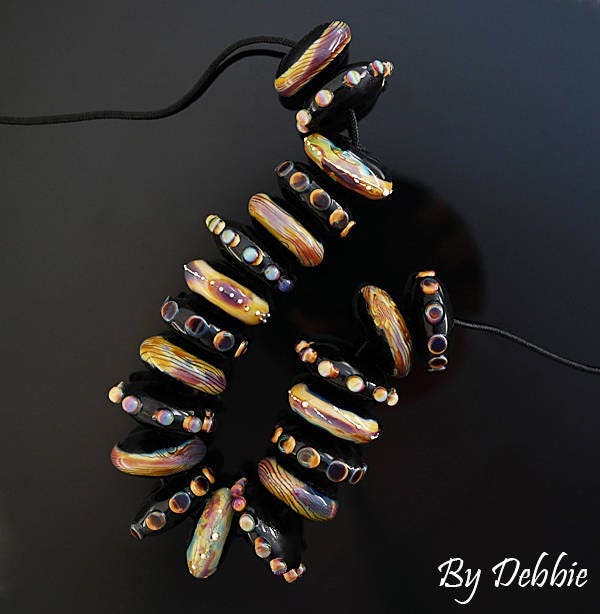 Please give me 2-4 (longer if I have a back log of orders) weeks to finish your beads. 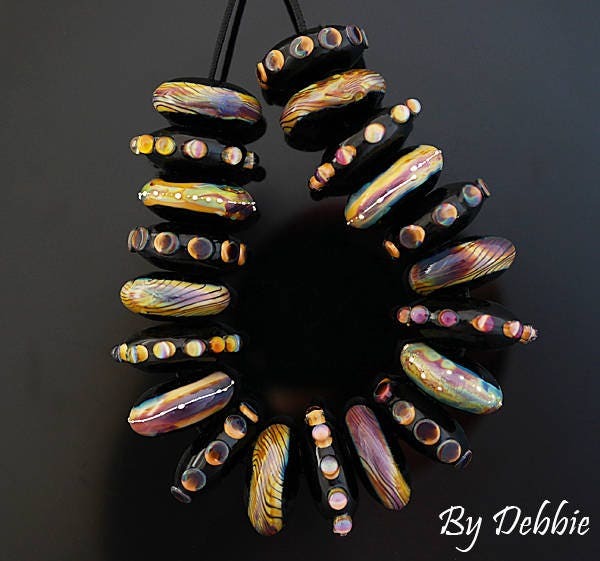 If I need to order any special items for your beads, then that may increase the time frame.